Published in 2019 by Simon & Schuster. Published in 2017 by Amazon CreateSpace. Published in 2016 by Random House. When crossing the final checkpoint from Syria into Lebanon, I glanced in the rearview mirror to see portraits of the late Hafez al-Assad and son Bashar gazing down at me. With the October Israeli airstrikes against a suspected Islamic Jihad camp just 25 kilometers from Damascus, Lebanon is threatened once again with being caught in the middle of a proxy war between its two powerful neighbors. The US is also heavily involved, as Syria is a charter member of the State Department's list of terrorist-sponsoring nations. Thus, securing Lebanese autonomy would be a critical step toward promoting political stability. In reality, Western policy continues to conflate Hizbollah with Lebanon, thus missing critical opportunities. Since Sept. 11, 2001, America's increasingly watchful eye on Syria has inadvertently given Lebanon's four million inhabitants their first dose of geopolitical breathing space in 30 years. Indeed, Lebanon's emerging autonomy from dual occupation by Syria and Israel holds the potential to restore its historical status as a geographic and cultural bridge between the Mediterranean and the Middle East. Lebanon's potential receptiveness to American diplomacy might bring a much-needed boost to the "road map" for peace. And, indeed, US President George W. Bush has made it clear that "Syria must choose the right side in the war on terror by closing terrorist camps and expelling terrorist organizations." But overall, the US has missed numerous opportunities to de-Finlandize Lebanon. When the Bush administration convened Arab leaders at Sharm el-Sheikh in Egypt last June, it consciously left Syria and Lebanon out of the picture, continuing instead to lean heavily on Egypt and Jordan, even though it is widely recognized that such a plan will fail without broad Arab support. Yet now that the Bush administration has put its reputation on the line with the road map, its policy toward Lebanon will have to move beyond mere travel advisory. With geopolitical attention focusing on continued instability in Iraq, however, the region's economies continue to face recession. Weak economic prospects have created a lopsided gender imbalance as young men move to Europe in search of job opportunities. A recent survey of Middle Eastern and North African males yielded "migration" as the leading career choice. But not all such men choose Europe. As the New York Times recently reported, hundreds of "angry, young men" from North Africa, the Gulf, Lebanon and Syria have been captured in Iraq by coalition forces. Overall, Lebanon suffers from among the most severe cases of brain drain in the Arab world. If it does not invest in its human capital, such as through business education and providing vocational opportunities for skills training, the limits to growth for such a small population will soon become apparent. Lebanon's economy centers almost entirely on Beirut, whose population can swell to 2.5 million over half of the country's population on peak workdays. Currently, Lebanon attracts only 1 percent of the Arab world's FDI (about 6 percent of GDP), most of which is visible in Beirut, where the reconstruction effort is driven by the personal fortunes of Prime Minister Rafik Hariri. Since the creation of Solidere in 1992, major investments have come from Saudi Arabia and Kuwait, but Beirut's politics have also pushed Lebanon toward the bottom of corruption rankings, where it places just ahead of Nigeria, Kenya, Indonesia and Russia. The same self-governing flair which encouraged the Lebanese through their long civil war has led to a state of affairs where national politics is the pure chaos of individual interests. The closure of MTV is the most prominent recent example, in which judges were allegedly bribed and coerced, and 400 employees were put out on the street. Not surprisingly then, according to the World Economic Forum's Arab Competitiveness Report, Lebanon places near bottom in the Middle East with respect to excessive administrative regulations and low intellectual property protection. As one local businessman summed up: "There's no civic-mindedness, only lots of money. Anyone can be bought." There is indeed plenty of money. With close to $50 billion held in the country's banks, Lebanon's four million citizens and its diaspora have the highest per capita GNP in the banking sector of any developing country. Ironically, even during the civil war people were known to fly into Beirut with suitcases full of cash to deposit in Beirut's banks. But it remains to be seen if the enormous potential represented by these short-term assets will be used to stimulate the flagging economy and contribute to national reconstruction, which has led to a debt-to-GDP ratio of 180 percent. Though the Central Bank has replenished foreign exchange reserves and raised foreign asset holdings to over $12 billion, capital intensive growth remains weak, a sluggish 2 percent. Inefficient lending and investment have made it difficult to lure back capital being held by Arabs in OECD countries, and investor confidence remains low given the lack of regulatory reform and geopolitical uncertainty. Yet if Lebanon were to more efficiently invest domestically, the improved perception of stability could result in Beirut resuming its place now alongside Dubai as the preeminent financial hub of the Middle East. It is often argued today that much of the region's economic future depends on the outcome of the occupation of Iraq, particularly with respect to key indicators such as private investment, which has contracted by 23 percent, as major decisions are postponed. American policy, therefore, should heed the recent remarks of AUB President John Waterbury, who cites a survey in which over half of all Lebanese claim they "like or love" America, but 81 percent oppose its policies. If the US can make greater efforts to support Lebanon, it could even become the first success story for America's hotly debated "public diplomacy" strategy. Sooner rather than later, the US should lift the ban on direct flights to Lebanon and stop viewing Lebanon through the prism of Hizbollah alone. After all, given the current anti-American climate in the Middle East, Lebanon's greatest asset is that it is not a threat. 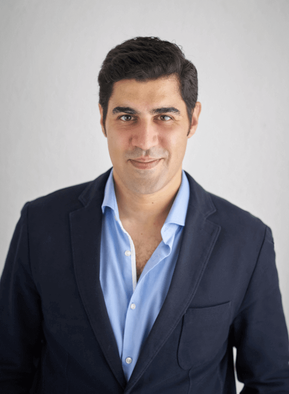 Parag Khanna, Managing Partner of FutureMap, a data and scenario based strategic global advisory firm. 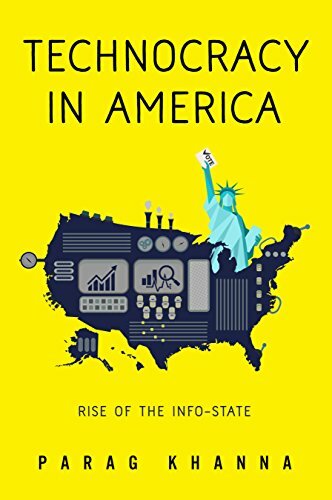 International bestselling author of six books, including Technocracy and Connectography. Keynote and TED speaker, as well as a regular on CNN. Parag Khanna is Founder & Managing Partner of FutureMap, a data and scenario based strategic advisory firm. He is the international bestselling author of six books, has traveled to most of the countries of the world, and holds a PhD from the London School of Economics. Read more. With Ayesha Khanna. Published in 2012 by TED Books. Published in 2011 by Random House. Published in 2008 by Random House.